This location is #32 on the map, its called 'Canyon Camp'. 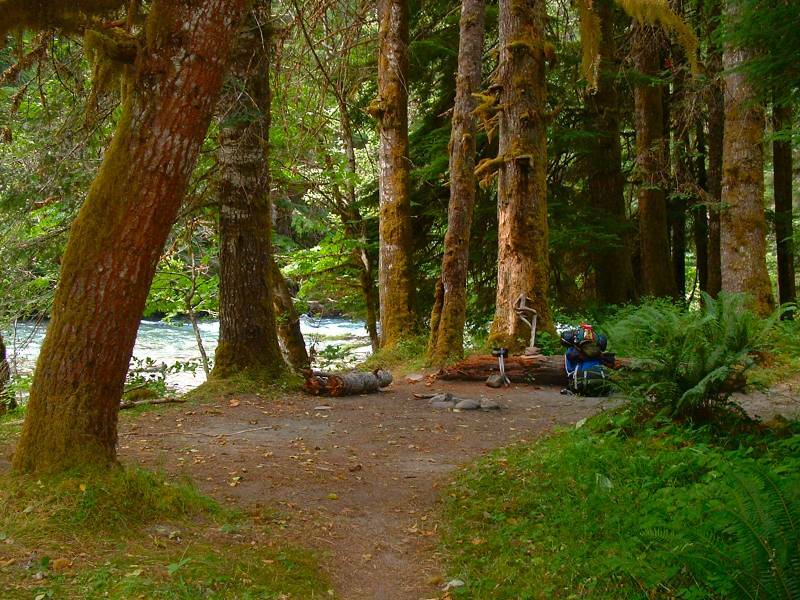 Theres some really nice camp sites here and some good fishing holes. The river in the background is the 'Elwha River', which the trail follows most of the way up to the 'Low divide'.